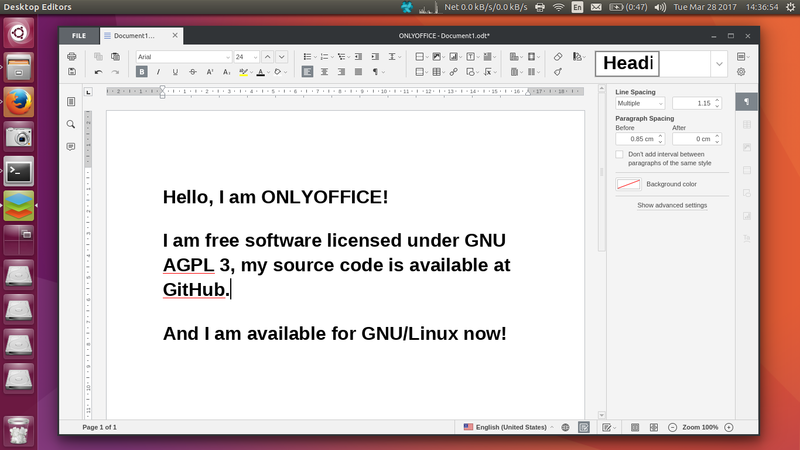 OnlyOffice Desktop for Ubuntu is available at GitHub https://github.com/ONLYOFFICE/DesktopEditors/releases. 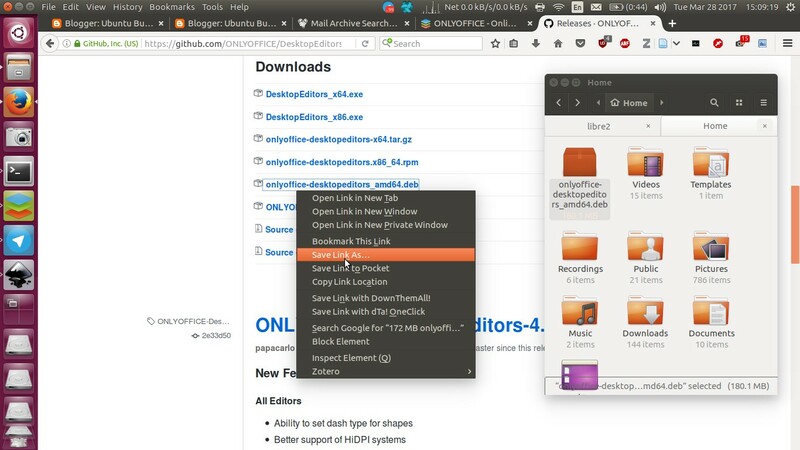 Save the .deb file into your $HOME folder. See picture below. 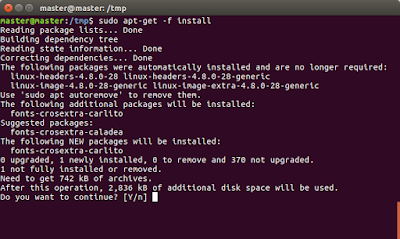 Open your Terminal (Ctrl+Alt+T) and type command below. 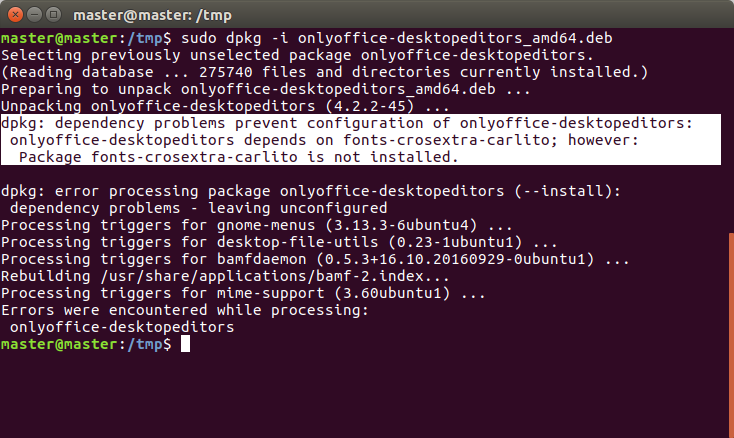 For Ubuntu 16.10 and 17.04, it must produces errors (missing dependencies) and that's normal. 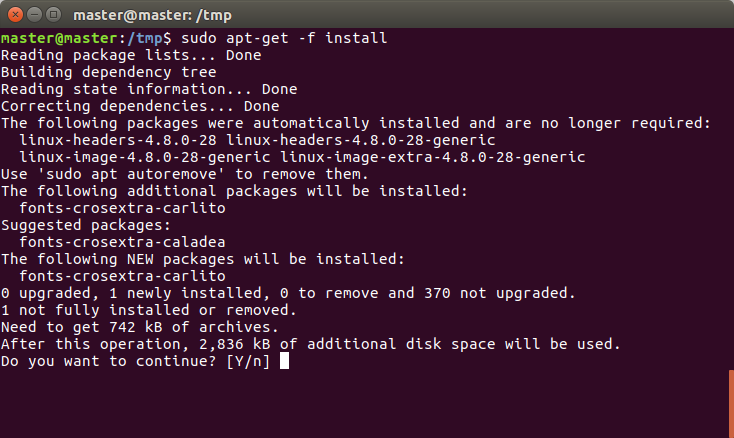 Still on Terminal, type command below when internet connection is still on. 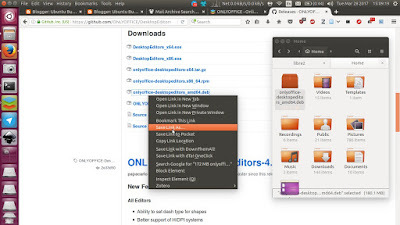 This will automatically download the missing dependencies for your Ubuntu system. 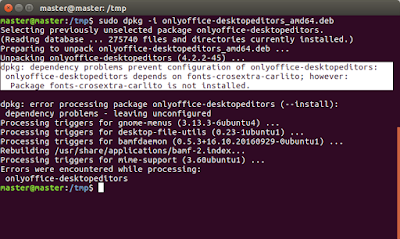 Performing this should completely install OnlyOffice, if it's not, just repeat DPKG command before. 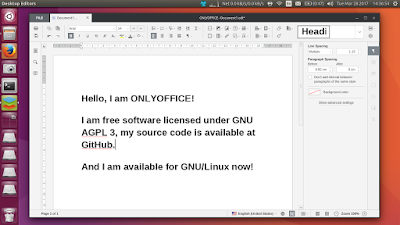 Open your desktop menu and type "desktop editors". The blue-green-red stack icon is the OnlyOffice program. Happy working!